What is a Building Energy Coach? 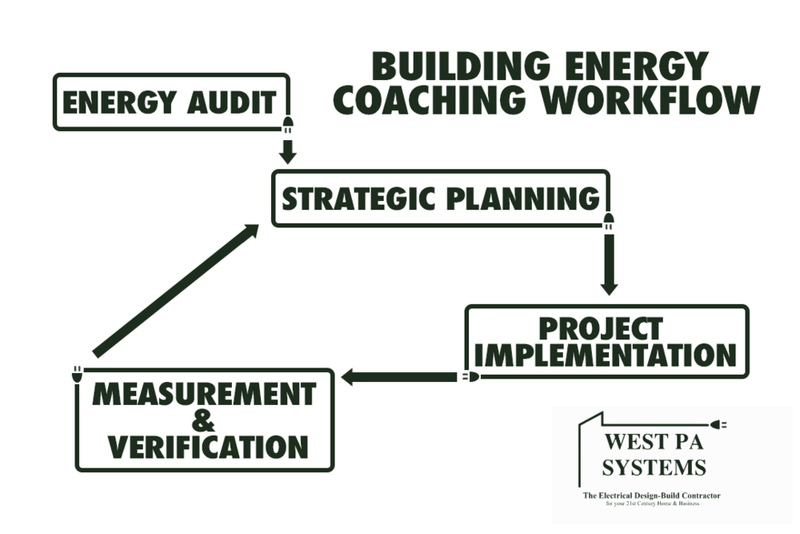 As your Building Energy Coach, we utilize a staged approach to building energy analysis, budget & decision-making consultation, upgrade design, implementation, measurement & verification, and on-going persistence toward improvement. This approach is based upon a number of highly renowned and recognized organizational standards, including: ASHRAE (American Society of Heating Refrigeration and Air Conditioning Engineers), US Dept of Energy, EPA & EnergyStar. Buildings are much like your body; they are made up of a number of different systems of parts that serve different purposes, but all work together to serve a common goal. Each of these systems require different types of fuels, need to be maintained, and can perform effectively or develop issues that cause them to perform poorly. The various systems in your building consume energy, like your body. The performance of each individual system interacts with other systems, affecting the whole in different ways. These affects can be measured ‘Quantitatively’ by analyzing utility and energy consumption data, and ‘Qualitatively’ by interviewing building owners and occupants. Analysis of this Quantitative and Qualitative data reflects the performance of all of the building’s systems, and can point toward individual system performance, guiding the prioritization and decision-making process of building maintenance, improvement & system upgrades. Coaches serve many purposes in our lives; , Health Coaches, Medical Doctors and Specialists all contribute to keeping our bodies healthy and performing well. Coaches also guide teams of individuals toward a common goal, assist one-on-one to improve individual performance, and strive for continual improvement. A Building Energy Coach does all of those things, with a focus on ‘Building Energy Consumption’ at the core of the discipline. How does an Building Energy Coach work with Building Owners & Business Operators? Of course, every building has different systems and functions, and every building owner and/or operator has different interests, so as your Building Energy Coach we customizes our services to meet those needs. -One-on-One review of Energy Benchmark, Audit Report and other available data. -Detailed review of information, and prioritization of energy projects. -Discuss existing Maintenance, Repair & Upgrade budgets. -Re-visit utility data after improvements to verify decrease in energy consumption & increased savings.